FAQ to Renne: Why do you wear red eye shadow? Question: Why do you wear red eye shadow? Answer: Why not? I have been wearing red eye shadow for over 25 years. And, it isn’t easy to stay in stock. Back in 1988, I was so excited when I had a custom set of eye shadows made for me that were yellow, orange, and red with mica sparkles. 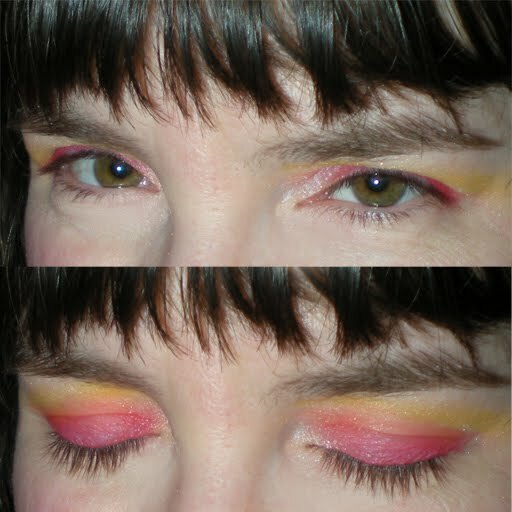 Of course, I have newer shadows and sometimes blushes to don on my lids. They are the same set of colors that I wear today, sometimes magenta, pink, or coral instead of red to match my outfit. But, why red? It could be the Japanese geisha look. It could be my war paint. It could because am a fiery Aries. It could be I love bright colors that inspire bees to seek out imperative pollen from radiant blooms. It could be that looking somewhat like a clown confuses people when I am so serious. It could be how the red makes my hazel eyes pop. It could be I delight in the double takes and smiles I get from people who find the world is full of wonder, variety, and unique forms of expression. FAQ to Renne: Do you look like your avatar? 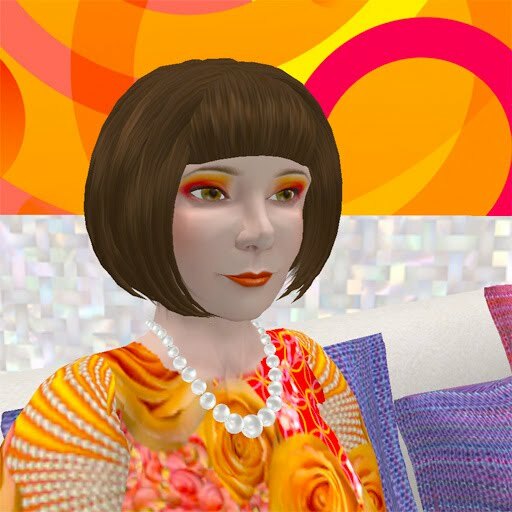 Question: Do you look like Zinnia Zauber, your avatar in Second Life? Answer: Yes. I have done my best to be authentic in the virtual world Second Life. Zinnia might be more cartoonish and less thick than me, but for the most part she and I are the same in appearance. I make my own clothes and skins for my avatar. 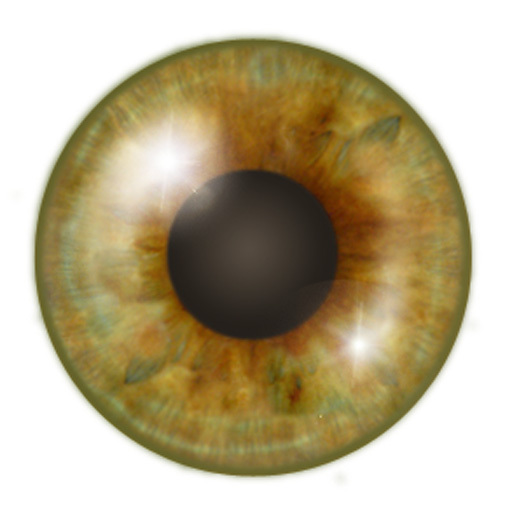 And, just made a set of eyes for Zinnia from photographs of my own eye I took under my microscope camera. I gotta be me!